Please check back nearer the time for details of displays and other entertainment. 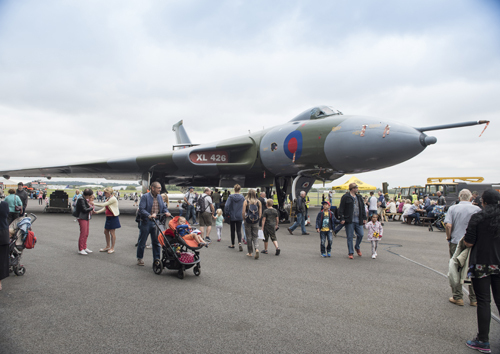 General admission is £5.00 for adults with accompanied under-16s admitted FREE. 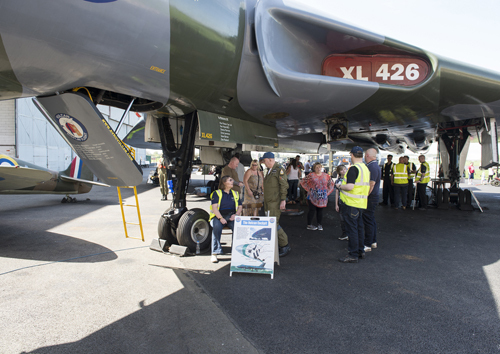 Admission allows you entry to walk around the Vulcan, take a guided tour if you wish and take photographs. There is a an additional £5.00 charge per person for cockpit tours. This charge applies to all visitors, both adults and under-16s. Doors open at 10.00 am with last admission at 4.00 pm.